During 2017 it was hard to escape predictions that artificial intelligence is about to change the world. In 2018, this is unlikely to change. However, an increased focus on repeatable and quantifiable results is likely to ground some of the “big picture” thinking in reality. Don’t get me wrong - in 2018 AI and machine learning will still be making headlines, and there are likely to be more sensationalised claims about robots wanting to take our jobs or even destroy us. However, stories about real innovation and progress should start to receive more prominence as the promise of the smart, learning machines increasingly begins to bear fruit. With any breakthrough technology comes hype. As the arrival of functional and useful AI is something that has been predicted for centuries, it’s hardly surprising people want to talk about it, now it’s here. It also means that there’s inevitably a lot of hot air – for starters, take a look at my rundown of the most common AI myths. Inevitably this eventually dies down as the media moves onto the “next big thing”. In its place during 2018, I expect we should start to see real progress towards achieving some of the dreams and ambitions which have been talked up over the past few years. All the indicators show that investment into the development and integration of AI and, in particular machine learning, technology is continuing to increase in scale. And importantly, results are starting to appear beyond computers learning to beat humans at board games and TV game shows. I expect 2018 to provide a continuous stream of small but sure steps forward, as machine learning and neural network technology takes on more routine tasks. 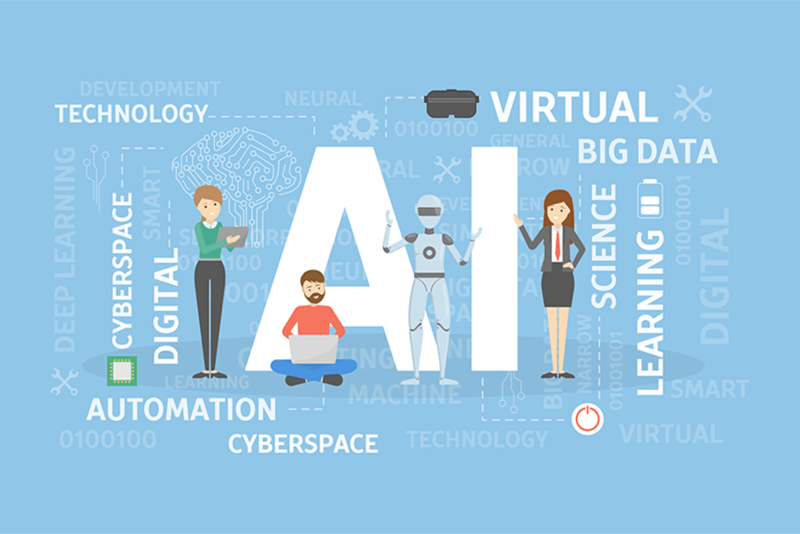 Spurred on by the successes achieved by innovators and market leaders in 2017, more and more businesses will launch initiatives involving AI. With self-driving cars and ships, as well as life-saving medical advances on the horizon, it seems likely that the speed of technological change is only going to increase as the decade draws to a close. For many CEOs and CTOs, acting on the potential for change that has become available is an increasingly urgent priority. 3. A lot of AI projects will fail, in a costly manner. This is a sad fact about many projects involving new and often untested technology and has existed down the ages. In some cases it’s down to the risks accepted by every pioneer. When working on a new frontier the only certainty is that there will be unforeseen difficulties. Machine learning algorithms may be great at thinking of new ways around problems, and may even seem able to predict the future, they are unlikely to foresee or react to many of the internal and external factors which could influence success. These could include management and workforce buy-in, legal, political or economic developments, the activities of competitors and the ability of business and data-centric teams to cooperate. A vagueness or lack of focus around the aims and expectations of an AI initiative is often a cause of failure. The hard truth is that AI is tough, and often expensive. A trend towards “plug and play”, as-a-service solutions may have opened the floodgates for organisations with less than global-scale resources to think about integrating AI. However, it also risks encouraging a “one-size-fits-all” or templated approach to data science, which may not be appropriate for every organisation’s aims. The initiatives and projects most likely to succeed are those which are envisaged from the start with a clear strategy, and with results clearly tied to bottom-line KPIs such as revenue growth and customer satisfaction scores. The way we interact with machines will continue to shift towards voice. Just as Echo and Alexa have invaded our homes, conversational interfaces will become increasingly common when it comes to interacting with technology in a business environment. According to one report, next year 20% of firms will look to add voice enabled interfaces to their existing point-and-click dashboards and systems. After all it’s the way most of us communicate most naturally – we can generally structure any query in a matter of seconds. As computers have become more adept at understanding us, there’s less need for us to spend time learning their complicated mathematical languages. Natural language generation and natural language processing algorithms are constantly learning to become better at understanding us, and talking to us in a way we understand. Throughout 2018 this will continue to improve and we should get used to robots which we can converse with, within limited parameters, just as we would with another human. 5. Robots will become more closely involved in looking after our health and wellbeing. Okay so the prediction sounds dramatic, but I am not suggesting that we will walk into the doctor’s office and be greeted by a robotic humanoid (at least not yet). The encroachment of artificial intelligence into healthcare is happening in a way that will initially be invisible to patients. Behind the scenes, image recognition algorithms are being used to spot warning signs buried in medical images and even hand-written doctors’ notes. As this technology is proving to be successful in pilots we should expect to see it moving into wider operational use in the next year. We are also likely to see more robots appearing in people’s homes with the ability to help them cope with disability and illness. Care and companionship robots are expected to become popular and could begin to become an everyday reality in 2018. Overall, I predict that 2018 will be a very exciting year for artificial intelligence.